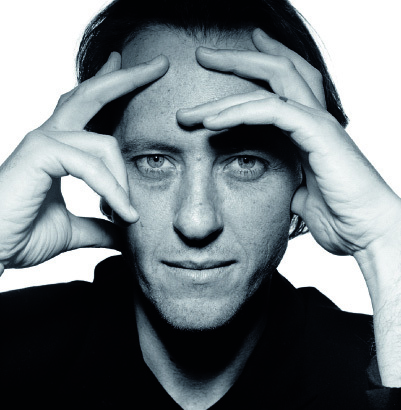 (ARISE magazine, issue 16) Richard E Grant lives in two timezones: “I wear my late father’s watch on the left, set to Swazi time, and one my wife gave me set to GMT on my right. It’s both sentimental and practical.” It’s also a sign of the strong hold Africa still has over the actor, who spent his formative years on the continent. Born Richard Esterhuysen to a South African mother and his education minister father, Grant grew up in the British Protectorate of Swaziland, which became independent in 1968. In 1982, after studying at the University Of Cape Town (UCT), Grant came to the UK and five years later made his name as Withnail – the narcissistic, acerbic, out-of-work thespian of Withnail & I.
He’s gone on to play many more scathing anti-heroes; from George in Gosford Park to Larry Lefferts in Martin Scorcese’s The Age of Innocence. But while he does a good line in English toff, Swaziland still looms large in his life. He documented his childhood in the 2005 film biopic Wah-Wah and returns every year. Despite a reputation for satirising Hollywood – his book With Nails: The Film Diaries Of Richard E Grant is full of candid anecdotes – Grant is always in demand. He voiced Cecil in new South African 3D animation Zambezia, and joins comedy duo Kath & Kim in the upcoming Kath & Kimderella. How did you get involved in Zambezia? I was in Johannesburg for a couple of days finishing a BBC documentary about the history of safari and was asked to record the voice for this cartoon character. The bonus of doing a voiceover role is that it gets done quickly, doesn’t require costume or make-up and is very enjoyable to record. Playing an ugly marabou [stork] was a good laugh. You have retained a strong connection to Swaziland, what draws you back? I usually go once a year as my father is buried there and I still have many friends from my childhood. I was last in the country for the Bushfire Festival [in May], which was a real pleasure. I was good friends with Jenny Thorne, whose sons Jiggs and Sholto created the House On Fire open-air theatre in Malkerns, and they asked me to be a patron. It was my first taste of the festival – and unforgettable. After graduating, you co-founded the Troupe Theatre Company, described as ‘multi-racial’ and ‘avant-garde’. Was it unique for the time? We founded the company in 1980 at the People’s Space theatre [now The Space Theatre] in Cape Town. The opening production was David Hare’s Fanshen; about the Chinese communist revolution. This prompted the censors to fly down from Pretoria to decide whether we were legally allowed to perform. It put us on the theatrical map. Working with actors I really trusted was an incredibly important grounding for me. How vibrant is the film industry and theatre world in Swaziland now? Since the advent of TV and the exodus of British expats the once-thriving amateur scene is a destitute shell of what it once was.The House On Fire is now the epicentre for all things artistic in the kingdom. You directed Wah-Wah in Swaziland. What was the country like as a film location? No film had ever been made there before so everything had to be imported. We had crew and cast from England, France and South Africa, as well as trainees and crowd extras from Mbabane. We had full co-operation from the government and police departments, which made it possible to complete the film on schedule and on budget. Media coverage of Swaziland tends to focus on King Mswati III’s wives, the Reed Dance and its high HIV rate. What do you make of it? The politics of Swaziland are very troubling. How the king can justify buying a private plane and amassing an army in the smallest country in the southern hemisphere – and purportedly be worth £150million – while asking for more loans from world banks I find very depressing. Hopefully the Jasmine Revolution will filter south and the decades of dictatorship and despots holding their countries to ransom, while amassing fortunes stashed away in Switzerland, are numbered. I’m making a documentary about French impressionists for the BBC, then start filming in London this October on Dom Hemingway, with Jude Law.